Gather round the campfire and trace the constellations in Longest Night! 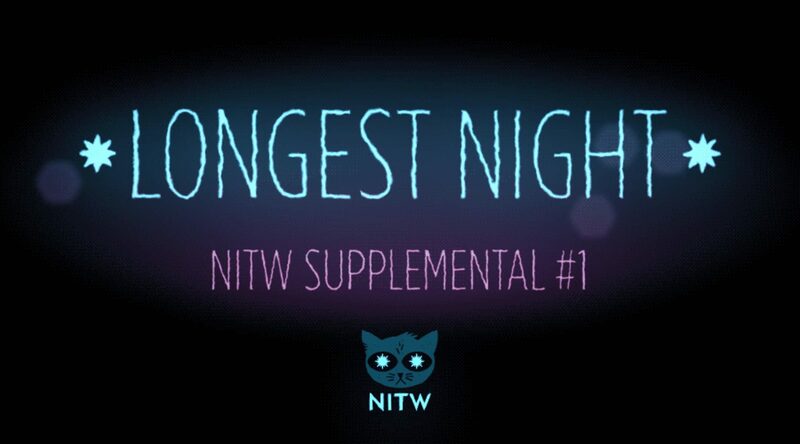 The first "supplemental" prequel to Night in the Woods. Margaret "Mae" Borowski is a 20-year-old college dropout, who relocates back to her hometown of Possum Springs, which has been struck by the closure of the coal mines and the stagnating economy. She meets up with her old friends, including gloomy but intelligent Beatrice "Bea" Santello, hyperactive anarchist troublemaker Greggory "Gregg" Lee, and Gregg's quiet, modest boyfriend Angus Delaney. Mae also learns that another one of her old friends, Casey Hartley, has mysteriously disappeared.